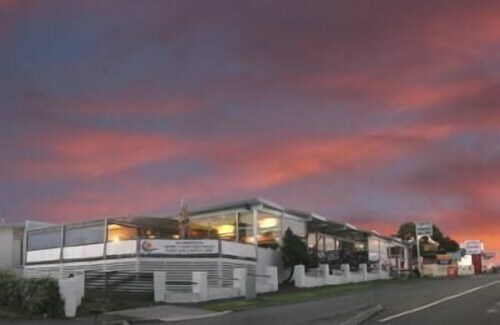 Situated near the beach, this motel is 0.8 mi (1.3 km) from Bridport Golf Club and within 9 mi (15 km) of Barnbougle Dunes and Barnbougle Lost Farm Golf Course. Bridestowe Lavender Estate and Scottsdale Art & Framing are also within 16 mi (25 km). Situated by the ocean, this apartment building is 2.3 mi (3.7 km) from Bridport Golf Club and 3 mi (4.8 km) from Barnbougle Dunes. Barnbougle Lost Farm Golf Course and Bridestowe Lavender Estate are also within 12 mi (20 km). 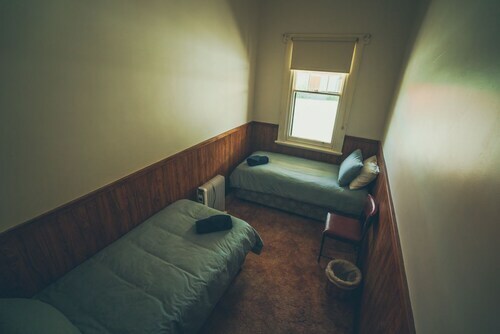 Situated in Bridport, this hostel is 1.1 mi (1.8 km) from Bridport Golf Club and 2.8 mi (4.6 km) from Barnbougle Dunes. 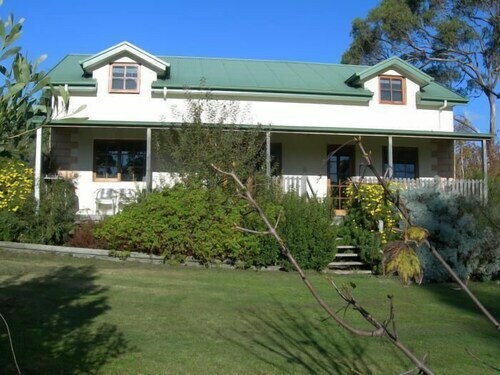 Barnbougle Lost Farm Golf Course and Bridestowe Lavender Estate are also within 12 mi (20 km). 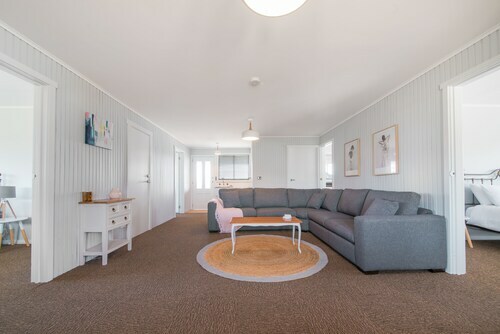 Located in Bridport, this beachfront vacation home is next to a golf course, 1.1 mi (1.7 km) from Bridport Golf Club, and within 9 mi (15 km) of Barnbougle Dunes and Barnbougle Lost Farm Golf Course. Bridestowe Lavender Estate and Scottsdale Art & Framing are also within 16 mi (25 km). Get in touch with nature with our Bridport hotels. Although Bridport was only settled 200 years ago, and mostly inhabited by tin-miners and gold-miners, it is now an ideal holiday destination, with its white sand beaches, vineyards, waterfalls, bushland reserves and native wildlife. This small Tasmanian town is anything but sleepy, and especially comes alive during summer. In fact, the town’s population of 1,350 swells to around 4,000 every summer. So wot’s all the fuss about? Bridport is well-known for its beautiful nature reserves, including Granite Point Coastal Reserve and Bridport Wildflower Reserve. Here you can spend the afternoon strolling around, admiring the native birds and wildlife. The Bridestowe Estate Lavender Farm is also a popular destination, offering gorgeous photo opportunities (not to mention an incredible fragrance). Bridestowe Estate is actually one of the largest producers of lavender oil in the world. Next Australia Day, aim to be in Bridport for the Australia Day Splash. The event features many activities, including mud wrestling and sand sculpting. Sporting enthusiasts will be thrilled all year round in Bridport. You have the chance to get out on the green at the local golf course, try your hand at water-skiing, or have a go at the annual triathlon in December. If fishing is more your style, you’ll enjoy sea fishing and river fishing in Bridport. Make sure to visit the rainbow trout farm, which was the first of its kind in Australia. Even if you don’t have any luck fishing, hit up one of the local restaurants for a feast of local scallops, trout and lobsters, and wash it all down with some local wine. Bridport is only 85km from Launceston, so check out our cheap flights to Launceston. You can catch a bus from Launceston to Bridport and use the public bus system in town, or hire a car at the airport. Now, the only thing left to do is book your Bridport accommodation, and enjoy your holiday right in the heart of nature. How Much is a Hotel Room in Bridport? 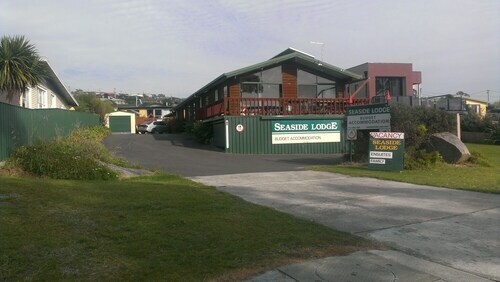 Hotels in Bridport start at AU$55 per night. Prices and availability subject to change. Additional terms may apply. Lovely comfy bed, pillows, and linen. Very clean bedroom. lovely (amazing!) bar food. Bathroom facilities could do with an update but they are fine. Good shower and hot water. Shared bathroom facilities. Kind of like an upmarket backpackers. Complimentary continental brekky. Very helpful and friendly staff. Very well appointed but no water available in kitchen.